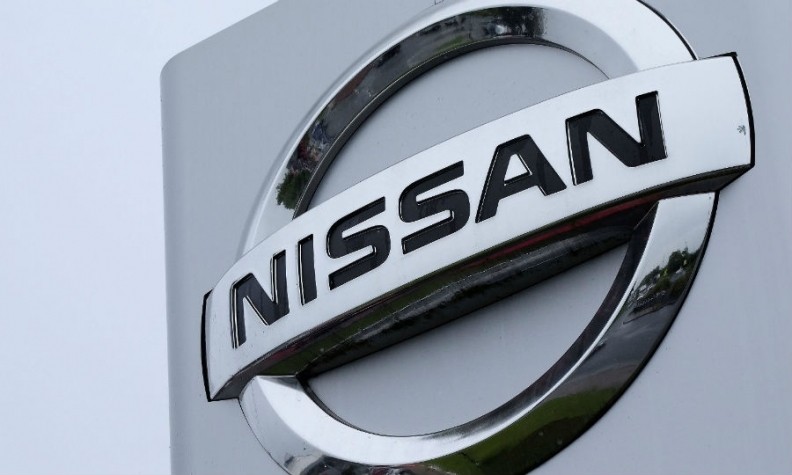 LONDON -- Nissan could face a 500 million-pound ($620 million) hit to profit should the UK fall back on World Trade Organization rules after two years of divorce negotiations with the European Union, the first time the automaker has put an estimate on Brexit-related costs. Speaking to lawmakers in the House of Commons in London on Tuesday, Nissan Senior Vice President Colin Lawther said 10 percent tariffs on exports of the automaker's Qashqai SUV, built in Sunderland, northeast England, and 2.5 to 4.5 percent tariffs on parts, would be "pretty disastrous" as the company would have to absorb some of the impact. "You're talking a 400, 500, 600 million impact," he said. This year the company expects to produce 320,000 Qashqais in the UK, Lawther said, 60 percent of which will be exported to other EU member states. Nissan pledged in October to expand production at the Sunderland plant, building the next generation of Qashqai and X-Trail SUVs at the site. The commitment followed a letter of reassurance from Business Secretary Greg Clark, in which he'd made four key pledges, including that Britain would seek to maintain tariff-free access to the EU during divorce talks. Nissan is the only automaker that has received such a letter. Despite saying the factory could still be profitable under WTO rules, through efficiency savings and potential "on-shoring" of suppliers, Nissan may "adjust" its British business depending on the outcome of EU talks, Lawther said. The assurances to Nissan in October might not extend beyond the next version of the company's SUVs a person familiar with the situation has said. Because auto product cycles typically run for about five to seven years, this could mean the company would have to reassess the attractiveness of the UK as a manufacturing base after it leaves the EU. The automaker's Sunderland plant employs more than 7,000 people and supports another 28,000 supplier jobs. The factory builds the Nissan Qashqai, Juke, Note and Leaf and Infiniti Q30 and QX30 models, according to Automotive News Europe's Guide to European Assembly Plants. In response to Lawther's comments, Prime Minister Theresa May's spokesman Greg Swift said the government is going into negotiations with a "spirit of optimism" and is "ambitious about the nature of the free-trade deal we can strike with the EU." "What we want is to secure a deal that allows there to be an environment for Nissan and other companies in the automotive sector to flourish," he told reporters. Nissan wants the British government to help it source more components in Britain to ensure the carmaker complies with "rules of origin" if the country leaves the EU's customs union. Lawther said leaving the EU would mean the company would have to increase the level of sterling content in its vehicles to comply with rules used to determine where a product has come from in order to gain an EU tariff preference. "Now that is our job to do that, but when you look at the supply base not all of it is in place and that is where we are asking the government to help us," he told the lawmakers. Nearly 60 percent of the parts in an average British-assembled car are made abroad and some components travel to and from the continent several times in the manufacturing process, which is made possible by Britain's EU membership. Many international trade deals require around 50 percent to 55 percent local content, according to car industry body the Society of Motor Manufacturers and Traders. This means many British models may not qualify and increasing the number of domestic suppliers would not be quick. Lawther said he expected the final trading environment agreed by the government would not be to the detriment of the business, although it would need "a whole bundle of solutions" for this, possibly including lower corporation tax. "The government will need to come up with a lot of different solutions -- free import duty for parts coming from customs union in and out would be one example," he said. "An automotive specific trade deal would be another example. "At the moment we've got a set of circumstances that we are quite happy with. We've made our decision and we'll honor that decision and go forward. But if anything materially changes, we'd review constantly."